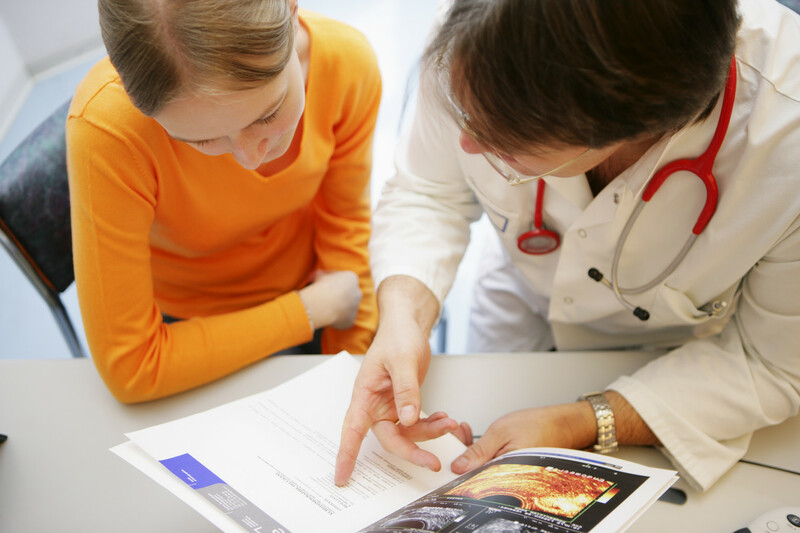 The Consensus Framework for Ethical Collaboration is a multi-stakeholder platform outlining the shared principles that should guide the conduct of the various actors in the healthcare sector. 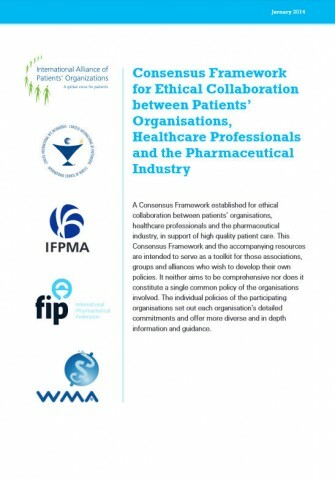 The Consensus Framework serves as a model for associations and alliances that wish to develop their own collaborations on ethical patient care. The Framework is not intended to constitute a singular nor a comprehensive policy for the organisations involved, but rather highlights areas of mutually shared values and commitments between the individual signatories. 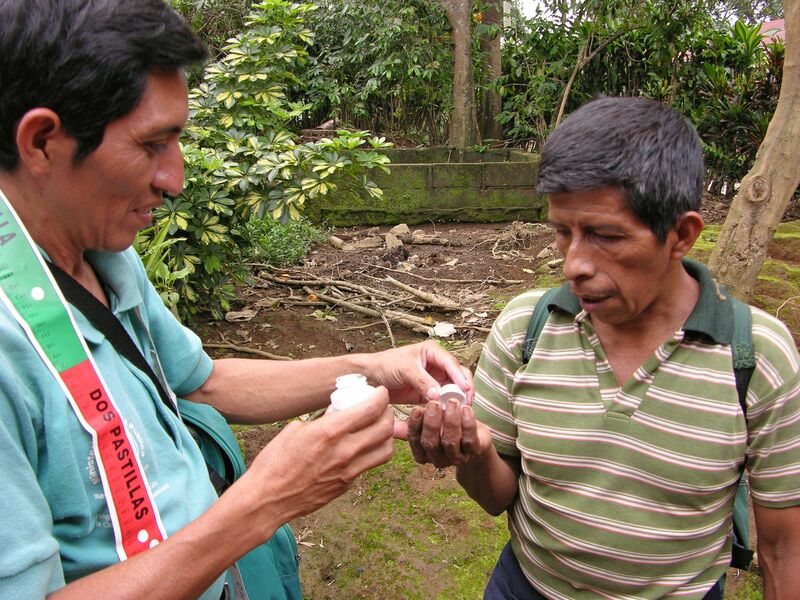 Each organization has their own detailed ethical policies and guidance that is tailored to the respective needs of their constituents. 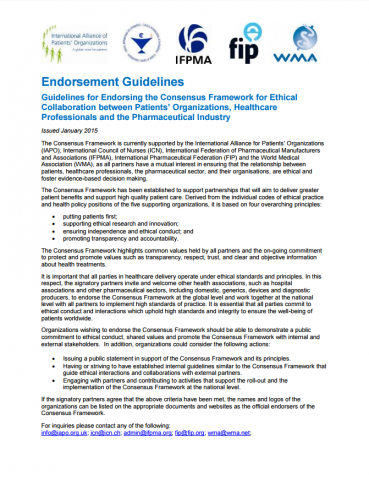 The Consensus Framework is currently supported by IAPO, ICN, IFPMA, FIP and WMA. 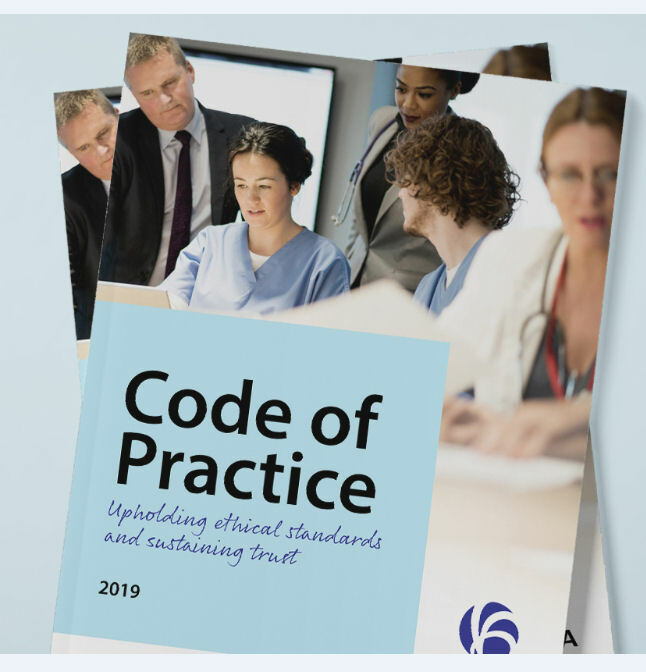 All partners have a mutual interest in ensuring that the relationship between patients, healthcare professionals, the pharmaceutical sector, and their organisations, is based on ethical and responsible decision making. 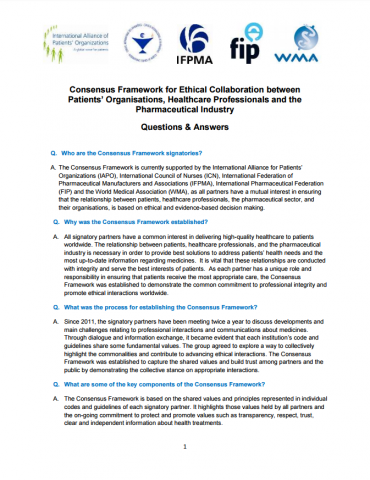 The Consensus Framework is currently supported by IAPO, IC, IFPMA, FIP and WMA. 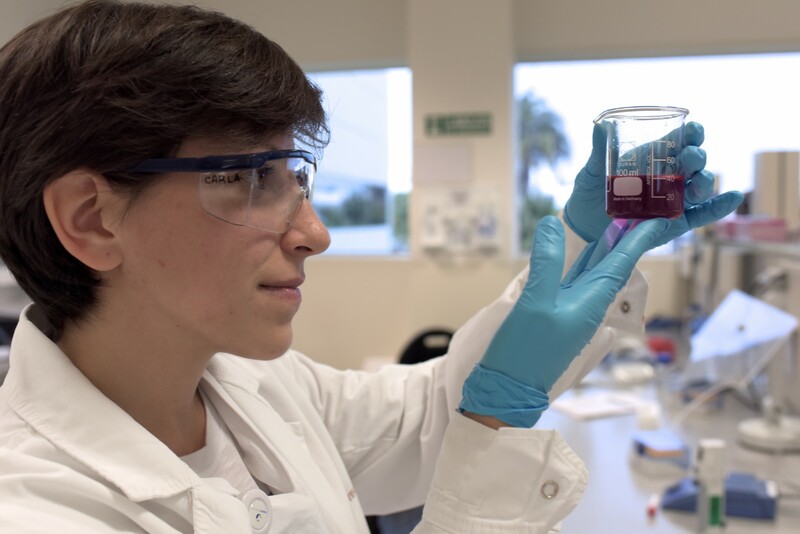 All partners have a mutual interest in ensuring that the relationship between patients, healthcare professionals, the pharmaceutical sector, and their organisations, is based on ethical and responsible decision making.